Wikipedia defines Load and Stress Testing as “Load testing is the process of putting demand on a system or device and measuring its response. Stress testing refers to tests that determine the robustness of software by testing beyond the limits of normal operation”. Due to budget constraints, my clients usually ask for some free tools to load/stress test their application, before going live. Here are some free tools to Load/Stress Test web applications. Please note that this is just a listing and is in ‘no particular order’. The Grinder - The Grinder is a load testing framework that makes it easy to run a distributed test using many load injector machines. Test scripts are written in Jython, and HTTP scripts can be recorded easily from a browser session. Pylot - Pylot is a free open source tool for testing performance and scalability of web services. It runs HTTP load tests, which are useful for capacity planning, benchmarking, analysis, and system tuning. Web Capacity Analysis Tool (WCAT) - Web Capacity Analysis Tool (WCAT) is a lightweight HTTP load generation tool primarily designed to measure the performance of a web server within a controlled environment. WCAT can simulate thousands of concurrent users making requests to a single web site or multiple web sites. The WCAT engine uses a simple script to define the set of HTTP requests to be played back to the web server. Extensibility is provided through plug-in DLLs and a standard, simple API. fwptt - fwptt it's a Web application tester program for load testing web applications. It can record normal and ajax requests. 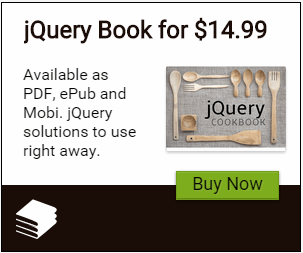 I tested it on asp.net applications, but it should work with jsp, php or other. Apache JMeter – JMeter is open source software, a 100% pure Java desktop application designed to load test functional behavior and measure performance. It was originally designed for testing Web Applications but has since expanded to other test functions. Siege - Siege is an http load testing and benchmarking utility. It was designed to let web developers measure their code under duress, to see how it will stand up to load on the internet. Siege supports basic authentication, cookies, HTTP and HTTPS protocols. It lets its user hit a web server with a configurable number of simulated web browsers. OpenSTA - OpenSTA is a distributed software testing architecture designed around CORBA. The current toolset has the capability of performing scripted HTTP and HTTPS heavy load tests with performance measurements from Win32 platforms. However, the architectural design means it could be capable of much more. I hope you liked this list. What about the classic torture.pl. I do prefer http://www.badboy.com.au/ since 2003, I realy do. Webtesting for the masses - so under the radar..
PushToTest.com has a free community version of their open source testing framework TestMaker. You can re-use your existing Java, Ruby, Groovy, Python, .Net scripts or Selenium and soapUI recordings. Worth a mention. The last news from open STA date from 2003, does anyone know if it is still stable or worth using ? Also take a look at loadUI. It's free open source and looks really promising. StresStimulus is a Fiddler extension that replays recorded scenario with unlimited virtual users. It supports constant user load or step load pattern. Graphs show when performance starts degrading. Does any of these tools actually support Silverlight 5.0? I'd appreciate your help on this one! I think what you mean is you want to test the service that Silverlight is connecting to. Remember that Silverlight runs on the client. However there could be a number of calls to the service from that client, or there could be a number of clients connecting to that service. Either ways, it is the WCF/Web service that you want to load test and see how your Silverlight app performs in this test. Very good article, even if it's old i use OpenWebLoad http://openwebload.sourceforge.net/ under Windows, easy to use. @isiah Thanks for mentioning PushtoTest. Did you know that PushtoTest is now Appvance? Check it out! 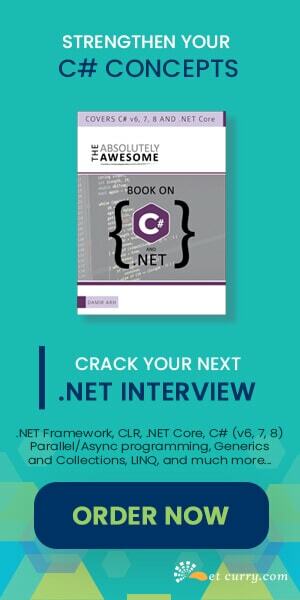 I want to test a .net application with an open source tool. I have to test with 9000 vusers... any suggestions ? you can run load tests for web applications or API Endpoints for free with LoadFocus.com. HTTP Test of MaxCDN is also pretty cool. 2 more nice tools which are Gatling and Tsung are mentioned in Open Source Load Testing Tools: Which One Should You Use? post which also provides some comparison information on tools benchmarking with sample test scenario and reports. NeoLoad Free Edition allows to test up to 50 vusers and monitor the app servers. I find it useful for Mobile apps testing. https://loadfocus.com - load tests with up to 600k clients / test from multiple world regions, extensive load test configuration for full coverage on all scenarios. I am a beginner in JMeter, I want to know if I can make performance testing with JMeter on vb.net applications ??? if so how can I do ??? Try loadfocus.com the best load testing tool I have found so far, fast and easy to setup.